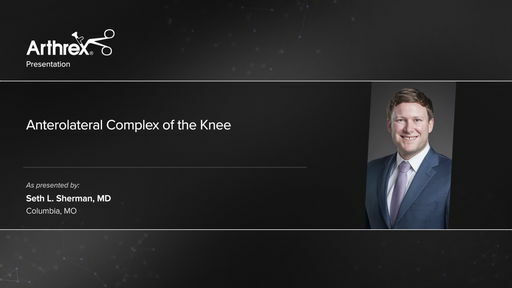 Seth L. Sherman, MD, (Columbia, MO) discusses the anterolateral complex, as well as the ALL and ITB tenodesis procedures, and how they can augment ACL rotational stability and reduce rerupture rates. 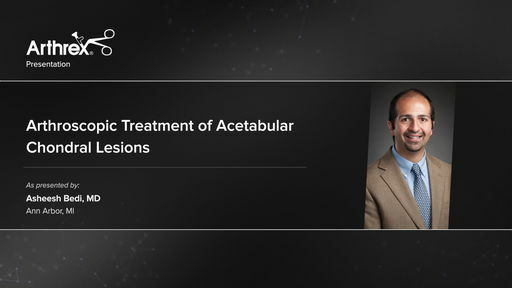 Asheesh Bedi, MD, (Ann Arbor, MI) discusses acetabular cartilage defects and various techniques for treating these challenging cases. 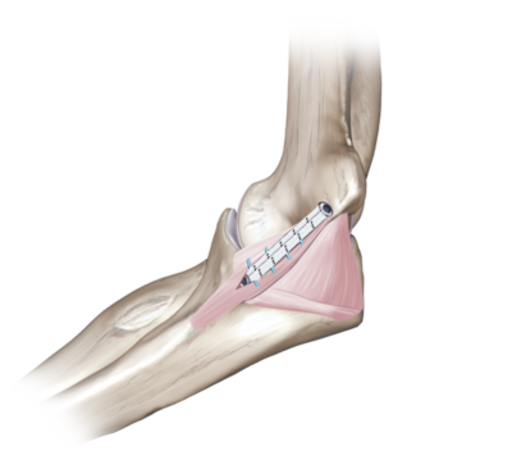 Dr. Bedi presents relevant research and explains how he uses BioCartilage® extracellular matrix to augment his microfracture procedures. 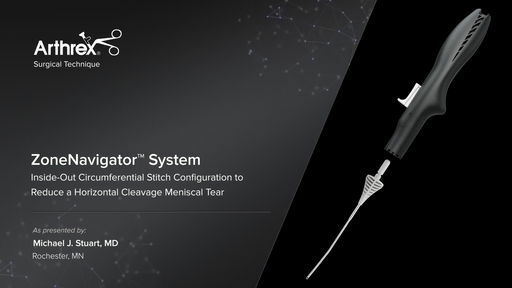 Michael J. Stuart, MD, (Rochester, MN) demonstrates an inside-out circumferential stitch configuration using the ZoneNavigator™ system to reduce a horizontal cleavage tear of the lateral meniscus. Join us for the ultimate educational experience. Join a renowned group of surgeon instructors for hands-on cadaveric training, interactive lectures, panel discussions, and case presentations. 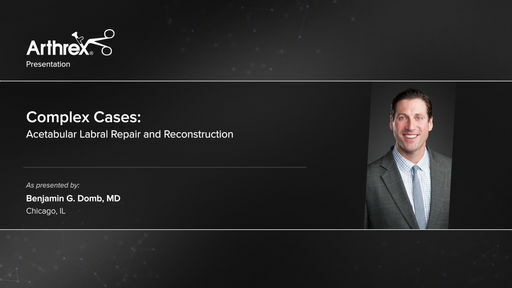 Benjamin G. Domb, MD, (Chicago, IL) presents the rationale for performing labral repair and reconstruction in both primary and revision settings. He outlines his algorithm for determining which procedure is appropriate and reviews cases specific to these procedures. 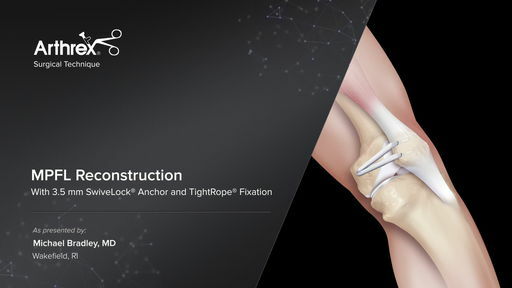 Michael Bradley, MD, (Wakefield, RI) demonstrates MPFL reconstruction using the 3.5 mm SwiveLock® anchor for the patella and TightRope® fixation for the femur.